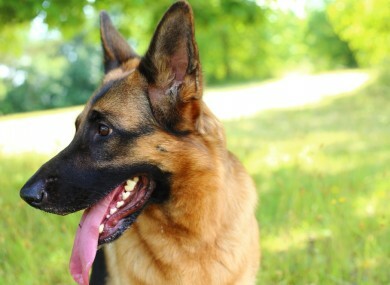 The German Shepherd had bitten an eight-year-old in the leg. Circuit Court President Mr Justice Raymond Groarke heard that the German Shepherd, also known as the Alsatian wolfhound, was still living beside the boy who regularly had to pass the house. Barrister John Nolan had earlier told the Circuit Civil court that when Milo O’Brien had knocked on dog-owner Stephen Collier’s door, to inquire about his own missing dog, Collier’s Alsatian lunged from behind his front door and bit the boy. Judge Groarke, having heard the local authority had not done anything about the dog, known to have bitten someone else before, criticised the authorities for not implementing the Control of Dogs Act. Earlier this month when approving an Alliance Assurance company settlement offer of €25,000 for Milo, of Knocknagin Road, Balbriggan, Co Dublin, Judge Groarke “held on to the case for a fortnight” to see what would be done about the dog. A contractor providing dog warden services for Fingal County Council yesterday said that in the particular case before the court there was nothing that he could do as the dog had been in a private dwelling. His hands were tied, he said. Judge Groarke said he was very grateful for the explanation given to the court and that he had not intended to point a finger at Fingal County Council, but had rather expressed his frustration. “It was not a criticism of the local authority but a general observation of what I regularly see on the streets of Ireland, dangerous dogs unmuzzled and off lead” the judge said. Milo’s mum, Anne O’Brien, a social worker, said her son was still fearful of dogs and a medical prognosis of his condition could not determine if he would ever re-engage with dogs. She said the dog was still living next door to her family. Judge Groarke said it was most regretful that the neighbour Stephen Collier, Knocknagin Road, Balbriggan, who had been sued by Mrs O’Brien on behalf of Milo, had not done the proper decent thing. During the earlier hearing when Judge Groarke criticised the State, local authorities and dog wardens, he asked what more effective control could have been had over the dog than to have it behind the front door. He had held on to the case because he was concerned there was a degree of pain and suffering continuing for Milo because the dog continued to live near him. Judge Groarke approved of the €25,000 offer and allowed a €500 payment out to be used for Milo’s benefit. Email “Judge says it was regretful that dog owner did not do 'proper decent thing' in child biting case”. Feedback on “Judge says it was regretful that dog owner did not do 'proper decent thing' in child biting case”.